Pizza Express team up with surprising supermarket for new tasty Sourdough rangeKitKat are launching a pop up in London’s Westfield where you can design your own barAre you ready to get 7 Boned? 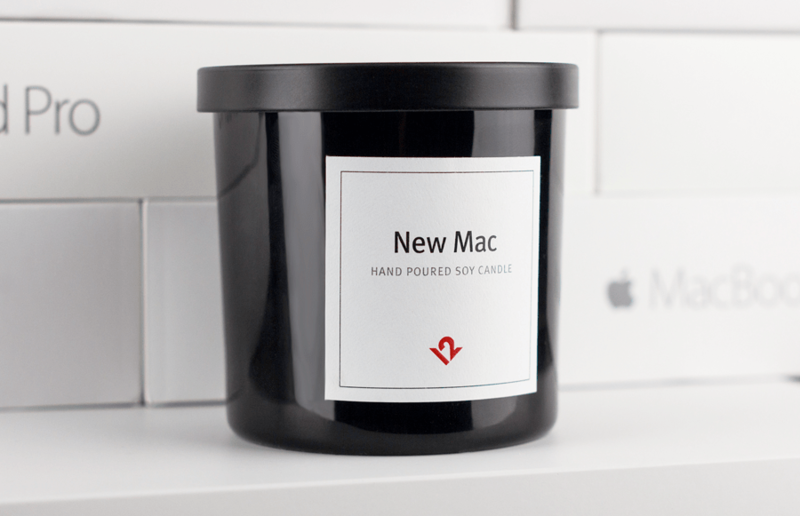 If you are totally obsessed with all things Apple then this new Mac-inspired candle may just be the perfect product for you. But, you’re out of luck… as they sold out almost immediately. The scented candle smells just like a brand new Mac computer and is one of the most bizarre Apple add-ons we’ve seen in quite a while. Hand poured in Charleston, SC the soy-wax based burner set social media alight with Twelve South, the company who makes them, sharing a video of the whole process. They normally build accessories for Macbooks and iMac’s including stands and cases but this time it’s a fresh new scent for your study, office or bedroom! It sold for $24 and offered free shipping inside the US. The candle will burn for 45 to 55 hours, the company said – far longer than the scent of a new Mac usually lasts. The scent has notes of mint, peach, basil, lavender, mandarin and sage, according to the company, and TwelveSouth, who have been designing accessories exclusively for Apple products since 2009, say the candles have already sold out. You can visit their website to be notified when the product comes back into stock.